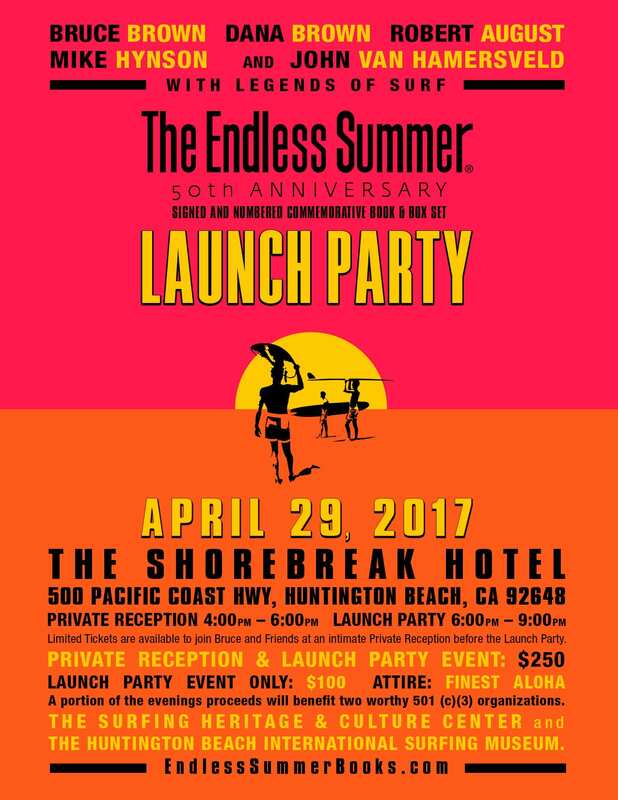 The Launch Party for the Endless Summer 50th Anniversary Book & Box Set Collection is set for April 29, 2017 at the Shorebreak Hotel in Huntington Beach, California. When we think of the “golden years”, we can’t help but include fond memories of the films that Bruce Brown created, which include not only the seminal “The Endless Summer” but also classics like “Slippery When Wet” (1958), “Surf Crazy” (1959), “Barefoot Adventure” (1960), “Surfing Hollow Days” (1961), “Waterlogged” (1962), as well as his world-renowned foray into documenting motorcycle racing with “On Any Sunday” (1971) featuring the ‘King of Cool’, Steve McQueen. 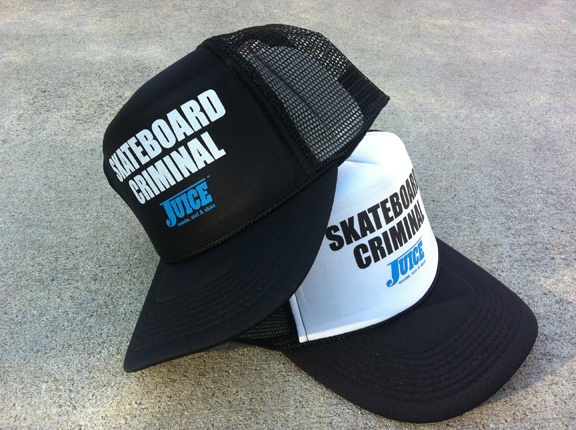 Bruce Brown is also responsible for one of the earliest skateboarding films, which focused on the Hobie skateboard team, entitled “America’s Newest Sport”. In the early days of surfing and skateboarding filmmaking, many of the innovations made were due to necessity, including soundtracks provided by musician friends and narration by Bruce Brown himself, that lent a priceless authenticity to the on-screen action. The movie premieres were first held in school auditoriums where the filmmakers raked in profits in the range of $1 or two. Without monetary gain as the impetus for Brown’s creations, the passion for his subject matter was true and pure of heart, making Brown’s work as important today as it was when it was first created. Over the years, Bruce Brown’s masterpiece “The Endless Summer” and its story of the search for the perfect wave has influenced and inspired generations of surfers, skateboarders and multitudes of others. In honor of the film’s 50th anniversary, Bruce Brown’s son, Dana Brown, also a world class filmmaker, has put together an incredible book to commemorate The Endless Summer project and its ongoing importance to surf/skate culture. Attending this special launch event, in Huntington Beach this Saturday night, will be Bruce Brown, Dana Brown, Robert August, Mike Hynson, John Van Hamersveld, Fred Hemmings, David Nuuhiwa, Paul Strauch, Jericho Poppler, Herbie Fletcher, Linda Benson, Lindsay Perry and many other legends of surf. The evening will be hosted by Robert “Wingnut” Weaver. 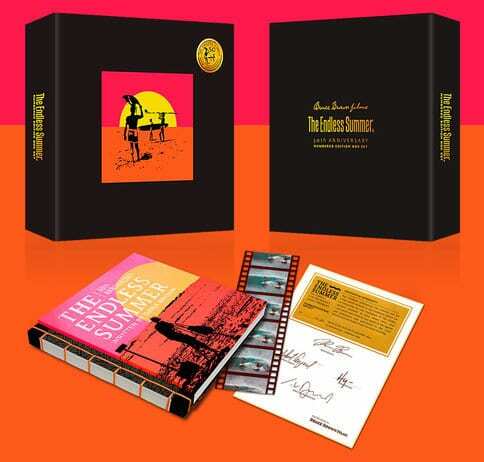 Bruce Brown Films will be commemorating the 50th Anniversary of the historic film, The Endless Summer with an epic collectors item, limited edition, signed art book. 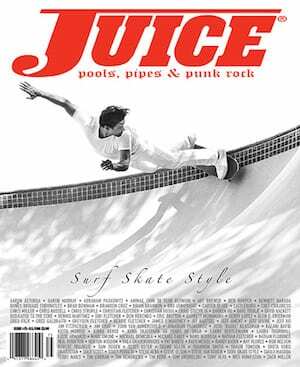 Written by Dana Brown and including stories from key players seen in the film; this book is any surf fan’s dream. The unveiling of the collection will surely be an epic evening for all as the bright lights of our collective Surfing Community come out to support not only this project, but the culture, the heritage and the beneficiaries, Surfing Heritage & Culture Center and the Huntington Beach International Surfing Museum.